Perched on a cliff top overlooking the Indian Ocean, Cape Weligama is a special experience, with its well manicured villas, dramatic setting and wonderful service. Sri Lanka’s Southern coast is renowned for its world class beaches and relaxed atmosphere. There are dozens of beach towns dotted along the shore, and with that much choice it can be hard to know which one to choose. Weligama is a name that comes up consistently, thanks to its spectacular combination of white sand and rocky clifftops. It is also roughly half way between the Yala National Park – where we had spent a few days – and Colombo – where we needed to get so we could catch our flight home. Add in one of the most luxurious looking hotels we had seen on the island, and it looked like we had the perfect place to stop for a couple of days and break up our journey. 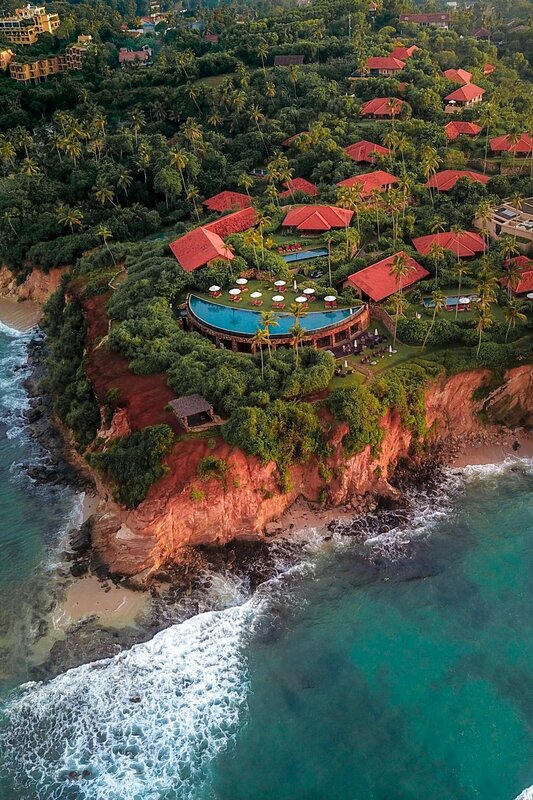 Perched 100 feet above the Indian Ocean, on one of the most dramatic settings we’ve seen is Cape Weligama. This spectacular boutique resort is located close to the history city of Galle, yet feels a world away. The road leading up the property trails along tiny laneways and through charming residential neighborhoods, allowing you a glimpse of authentic Sri Lankan life. Then, just as you start wondering if you are going the wrong way, you reach the gate of the hotel compound. 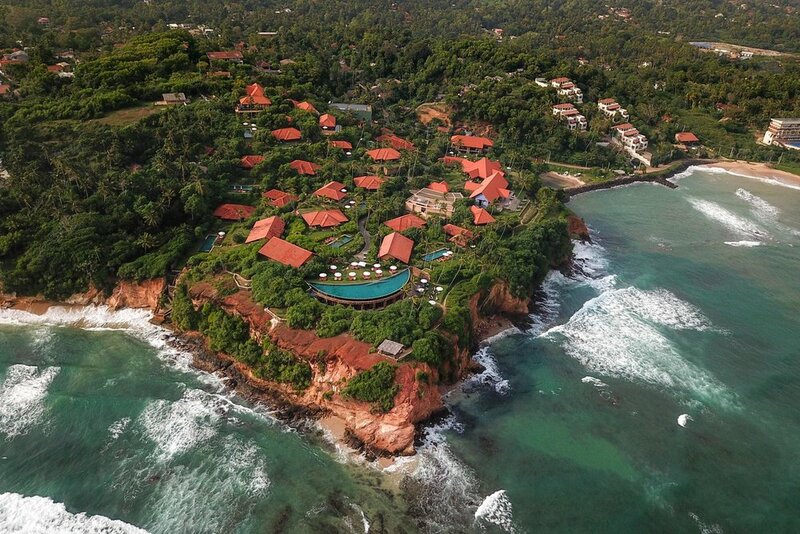 Cape Weligama is part of the Resplendent Ceylon Group, which seems to put as much weight on making their properties spectacular as it does on their quality. Many hotel chains are satisfied as long as there is a stretch of beach nearby and the building itself meets their standards. These guys on the other hand, aren’t satisfied unless their resorts occupy the most naturally beautiful part of the area and are designed in a unique and intriguing way. By the end of our stay we were convinced that Cape Weligama was one of the prettiest hotels we have ever stayed in. Once through the gate, the first thing you see is the open air lobby. I always take care when checking in to observe the lobby and the way the staff greet new guests, as this gives you a sense of what is in store. The team welcomed us with open arms, cold towels and even colder tea (I am still dreaming about it now), and they all made sure that Axel was comfortable and taken care of. They then stayed and chatted with us, making sure that we knew all about the hotel and that all we had to do was ask if we needed anything. All the signs suggested that we were going to have a great stay. Next was the short trip to our villa on one of the hotel’s golf carts. On the way we got to see just how green the grounds were. The property is divided into gardens, each with its own set of 2-3 villas surrounding a pool. It is enclosed by a thick mass of palm trees on either side, and every square inch of ground is carpeted with perfectly manicured grass. The ocean end of the property is where most of the facilities and restaurants are – perched on the clifftop, and to one side a pathway takes you down to the beach below. As soon as we go to our villa, I couldn't believe it was considered a small villa, and wonder just how big the larger ones are. We had a generous master bedroom on one side of the villa, and on the other was the main bathroom and a closet which was almost as big as our bedroom. Outside we had a huge terrace encircled with greenery designed to give us complete privacy. Cape Weligama is one of those resorts that guests – ourselves included – find themselves hardly leaving during their stay. This is partly because it is so comfortable and relaxing, and partly because it has everything you need on site. Dining is no different, and there of five restaurants and bars which offer food and drinks. Our favorite choices were Ocean Terrace and the Surf Bar. The Surf Bar is the place to go if you want to spend your day enjoying a cocktail or snacking on their light menu. 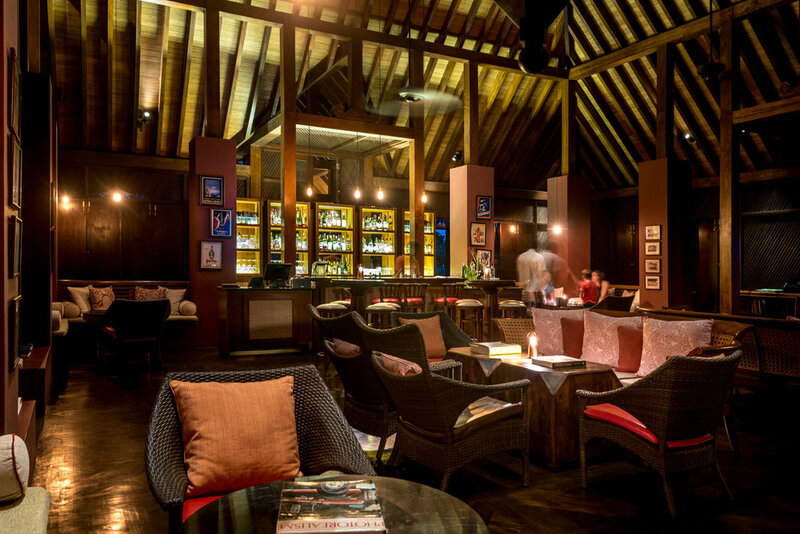 Its atmosphere is at casual and sophisticated, making it the perfect place to while away the hours by the beach. Ocean Terrace is the hotel’s main restaurant and it serves a modern menu with local and international influences. As the name suggests, the Ocean Terrace features one of Cape Weligama most picturesque spots, offering a dramatic views of the Sri Lankan coastline and the rolling waves below. Every night for dinner we would walk down and seat ourselves with the rest of the guests. Dishes included Sri Lankan specialties, local fresh fish as well as some western options. Also if there is anything you want that might not be on the menu, just ask...they’ll figure out a way to make it :) Our favorites were the fresh fish and beet salad, and yes it does taste as good as it looks! In addition to the pristine beach below the grounds, there is a long list of amenities for use at the property. The star of the show is the moon shaped infinity pool, which occupies a prime position at the center of the clifftop. There are other pools however, and in one of them you can even train for a PADI diving qualification. The sports center has a spa and gym, while the Surf Bar has a big screen which sometimes plays the occasional movie or important sporting event. The level of service being as good as it is, the staff will also try to accommodate any other requests you might have. One evening for example they coordinated a babysitter for us so that we could go out for a date together. If the amenities at the hotel are not enough, and you decide you want to get out and see the local area, the hotel also organizes tours and activities. We can’t speak from personal experience, as we pretty much stayed on property the entire time, filling our day by lounging by the pool, walking on the beach and drinking cocktails. The activities advertised however, included fishing, cruises and whale watching. 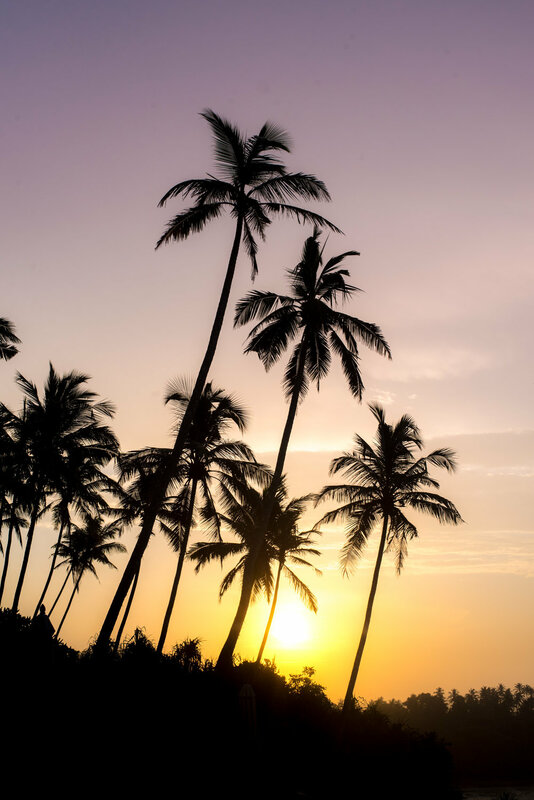 There are also plenty of beaches to explore in both directions along the coastline, and the old colonial town of Galle is just half an hour away. We’re glad that we decided to stop by Weligama and visit this hotel. Not only was it a great way to break up the long drive from Colombo to Yala National Park, but it turned out to be one of the most relaxing stays we’ve had in a long time! Which definitely helped us feel a bit more rejuvenated after traveling along Sri Lankas hectic roadways. Spoiler alert — if you’ve never been to Sri Lanka, most of the road there are tiny one lane affairs and swarming with tuktuks. This can make even short distances feel long and tiring. But avoiding fatigue is not the only reason for stopping, it is also necessary if you want to take in as much of Sri Lanka’s wonders as possible. Sri Lanka is a colorful, diverse place and each stop will bring you something new and fascinating which you would otherwise have missed. If you are looking for a relaxing beachside experience where everything is available with next to no effort, then this is the perfect place. It is comfortable, romantic, quiet and picturesque. 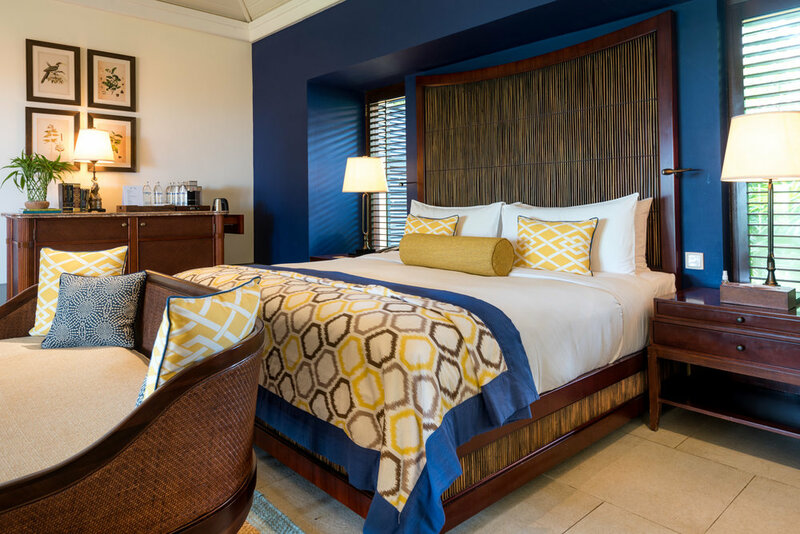 Thanks to the level of attention provided by the staff, this place will suit honeymooners and families alike, and the privacy of the villas mean that you can enjoy your stay with hardly a glimpse of another guest.